The US Department of State has approved the possible sale of Raytheon SM-2 Block IIIB missiles, equipment and support to Australia for use in Hobart class Air Warfare Destroyer (AWD) trials. The potential Foreign Military Sales (FMS) program deal, which has an estimated cost of US$301 million, covers up to 80 SM-2 Block IIIB vertical-launching tactical all-up rounds and up to 15 MK 97 guidance sections, the Defense Security Cooperation Agency stated on May 31. “The SM-2 Block IIIB missiles proposed in this purchase will be used for anti-air warfare test firings during combat systems ship qualification trials for the Royal Australian Navy’s three new Air Warfare Destroyers currently under construction,” the statement read. 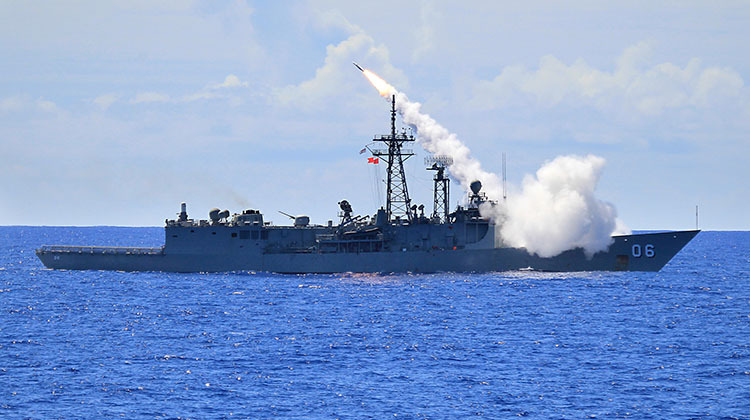 “The SM-2 Block IIIB missiles, combined with the Aegis combat systems in the AWDs, will provide significantly enhanced area defence capabilities over critical Southeast Asian air and sea lines of communication. The SM-2 IIIB is based on the IIIA but adds ’autonomous IR acquisition. If we are to have the AWD in our fleet, these boats should have the most modern and up to date missiles systems available to our defence force, so, yes, the SM-2 is the ideal component to fit these boats out. for now days warfare. Actually Dave an SM-6 are the best fit for long range interception, SM-3 for ballistic interdiction. And ESSM for short range introduction. Updated SM-2s will be good though! Our defence force us a small one. We are not a super power but we gotta play it smart. I reckon more enhanced guided missle frigates will do the trick to support the amphibious assault ships. The RAAF should purchase more super hornets ( strike roles ) ….. Just saying…..
Febian, 3 more should do it! But, Super Hornets are almost exactly the same as F-15s, give or take a few million. The Eagles do long range strike, air-superiority and can do low level strike/maritime-strike. Why get more inferior multirole fighter designed for carriers when we could actually fly proper airforce planes? Super Hornets cost the same as F-15s? No they don’t, at about US$75m they’re more like about half to 2/3 the cost of a current model F-15SG/SA. Jason, yeah the cost figures are all over the shop for the Super Hornet from as low as $70 million to as high as $100 million plus. Australia seems to have payed around $100 – $110 million per unit for them back in 2010. The Danish just did a competition where the Super hornet were valued at $122 million per unit. I definitely agree that they shouldn’t be so much especially considering the fact that the F-15 is a bigger and better plane… In that competition the F-35 was valued at around $85 million despite other sources stating in excess of $150 million. Anyway still doesn’t change my point. That is Australia could benefit from having a dedicated air-superiority fighter that can also do long range strike and low level strike!